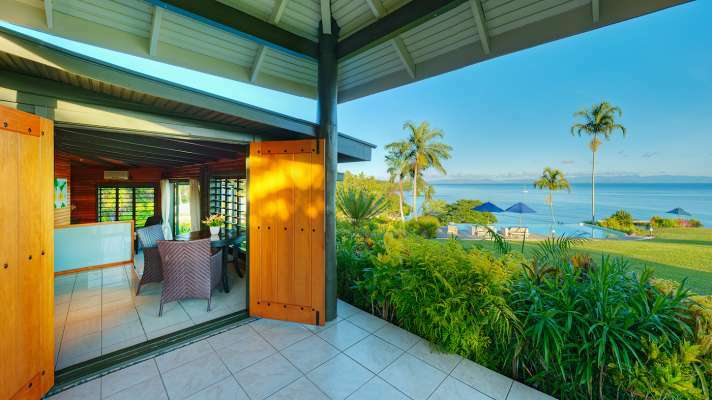 A rare opportunity to acquire this renowned and fully established, award winning resort and spa. 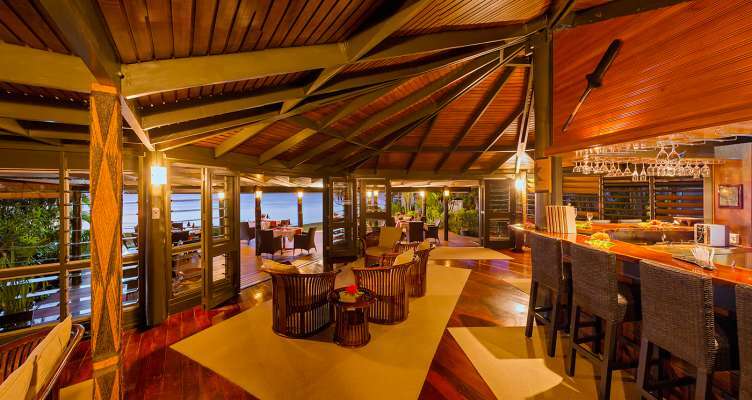 This premiere freehold island property is a unique offering beyond compare! Along with a list of international awards, Taveuni Island Resort & Spa’s most recent recognition, and one of its most prestigious, to start the year was the Trip Advisor ‘2017 Travelers Choice’ Award, reaffirming this premier resort and spa has all the elements synonymous with top luxury serene island retreats. 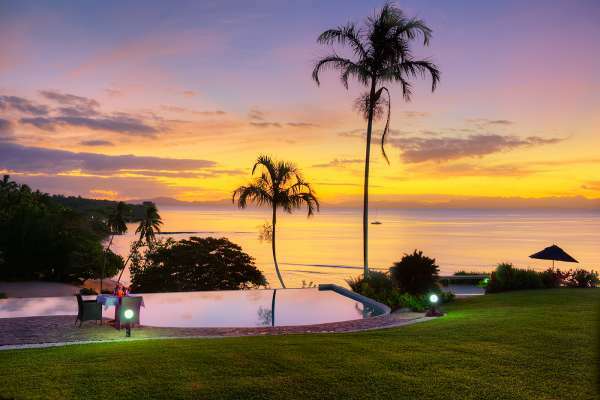 This peaceful and adventurous location is situated on top of a coastal freehold 8.13 acre site, with the beauty of sunsets across its panoramic ocean vista. 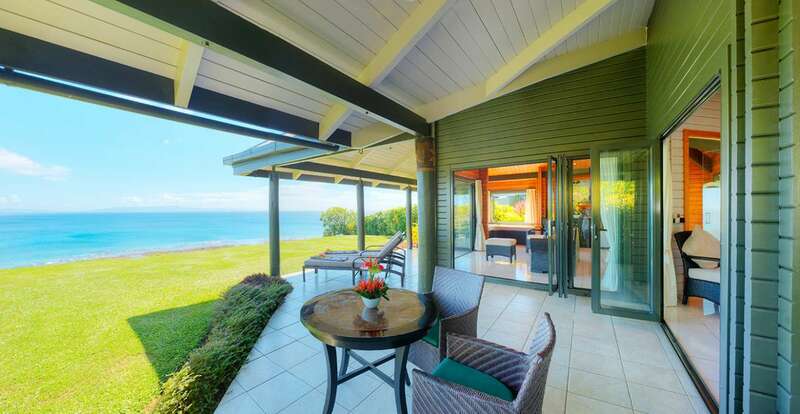 The resort has been developed over time with a complete rebuild in 2005 and maintained immaculately ever since. At capacity the resort accommodates 13 couples in generous, beautifully appointed villas, featuring an idyllic outlook from every room. 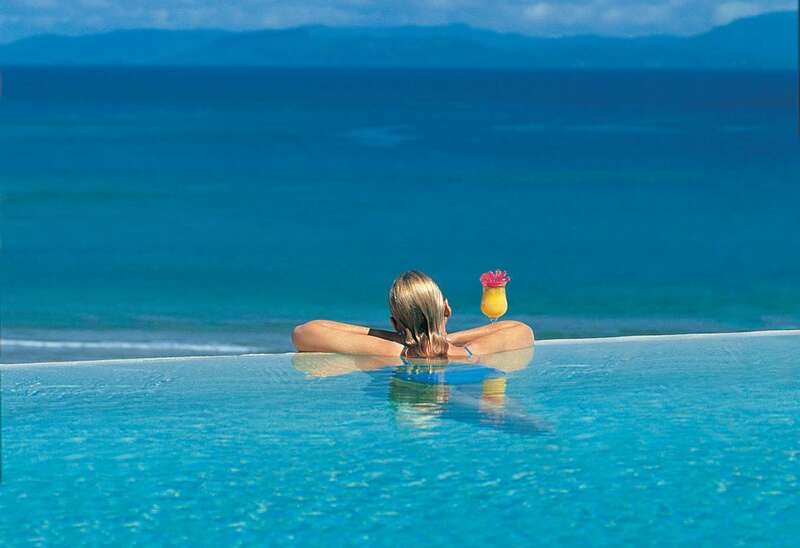 Relaxing on the bed gazing out to the ocean or being pampered at the resort spa, Taveuni Island guests enjoy pure luxury and comfort; air-conditioned or just layered with light silky sea breeze. While private and secluded, the benefit of a post office, hospital, police and fire department are beneficial support facilities on the island, serviced by sea and a sealed airstrip for regular commuter access. Being the third largest island in Fiji, it is 37 miles long, seven miles wide and rises to 4,000 feet above sea level, plunging an equal depth into the ocean beneath. Lake Tagimouci is right at the apex and its crystal clear waters cascade down through the dense rainforest in hundreds of small rippling rivers and spectacular waterfalls. One third of the land is World Heritage Rainforest Park. Not only is the land magical, the ocean rates as one of the top dive sites in the world. Rainbow Reef boasts 30 colorful and exciting dive sites with some of the most colorful corals found anywhere in the world. Fish life is abundant and varied and the pinnacle for uniqueness is the Great White Wall. 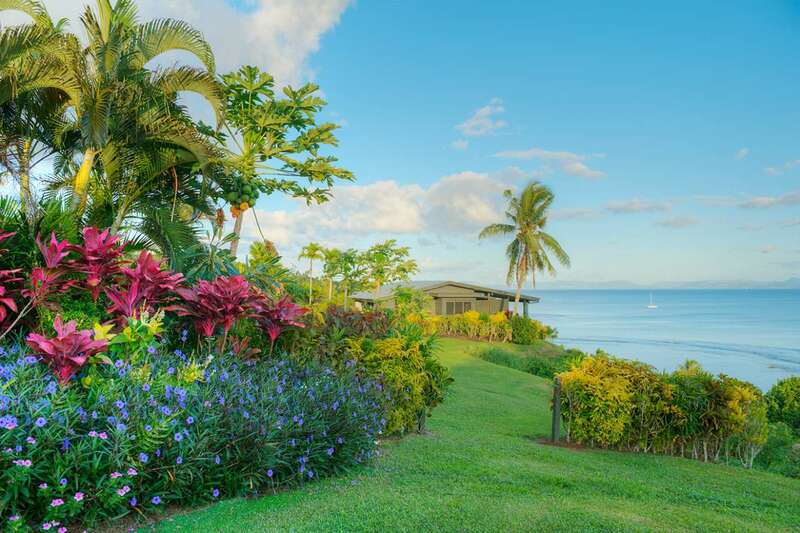 The award winning Taveuni island resort and spa is offered for sale by expressions of interest closing on 28 April, 2017 (unless sold prior).